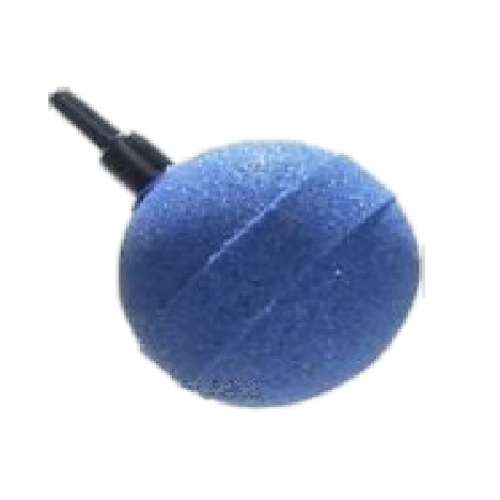 The Golf Ball Airstone is perfect for aquarium or hydroponic applications. The round nature of the airstone means the air can come out from all around, maximizing aeration. This makes them an efficient but cheap way of increasing oxygen content in water tanks. The Golf Ball Airstone has a 6mm intake fitting for connection to the air line available at Straight Up Hydroponics. Use Golf Ball Airstone in conjunction with air line and an air pump to create a tank aeration kit. Golf Ball Airstones have many uses beyond hydroponics applications. Aeration of fish tanks is another popular use for these air stones. Many of our customers use them to form the basis of Deep Water Culture (DWC) systems. If you are interested in making your own DWC set-up, you may want to check out our 20 litre black buckets with lids as well as our 14 cm net pots that are perfect for such applications.